Polar bear boat tours along the Alaskan Arctic coast with expert guides. An intimate approach to viewing and photographing polar bears in the wild. Many people fly up in the morning and do an afternoon 4-hour boat tour, spend the night at one of the two local hotels, then do a 4-hour morning boat tour before flying out. Depending upon how much time you would like to spend with the polar bears, you can add days and tours in between. SPECIAL! 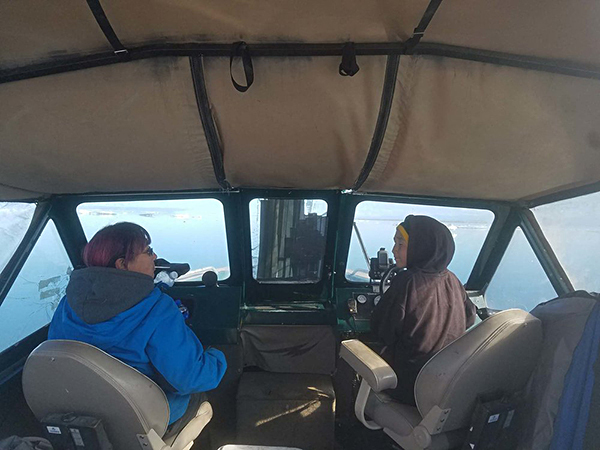 TWO NIGHT TRIP - Includes three 4-hour boat tours, round trip flights from Fairbanks to Barter Island via RAVN Airlines, and two nights lodging at the Waldo Arms Hotel. On this tour you’ll catch a flight to Barter Island and once you arrive, check into the hotel and have lunch, then go out for a 4-hour afternoon boat tour. On the second day, you’ll do a morning tour followed by lunch then an afternoon tour. You’ll have the morning to pack up and relax then fly back to Fairbanks in the late morning or early afternoon. Dates ranges currently available* include: between August 14-25, September 9-11, September 11-13. Contact us for pricing! We offer flexibility on tour departure and return times, for example, if there are clear skies forecasted for the morning, we can go out a little earlier and catch a great sunrise. We have protection from the wind and elements and provide warm arctic gear to keep you comfortable. 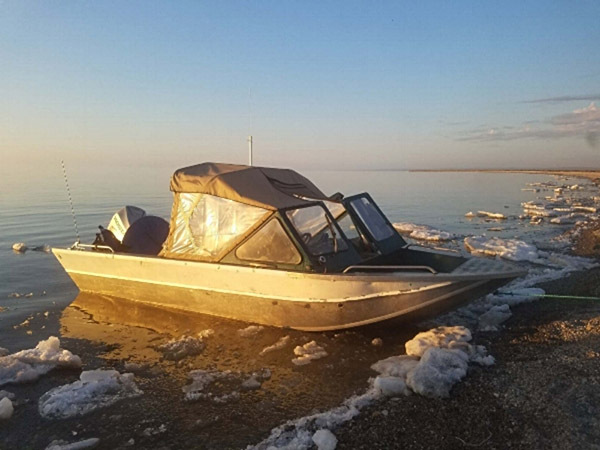 Our boat offers a true Arctic experience! Steven Kazlowski is the only boat captain who is also a professional wildlife photographer. Together with Jack, they try to maximize the best photographic opportunities for all participants. Additional Boating Hours: Beyond a half day or full day, additional boating hours are possible and are charged at the above hourly rate per hour per person. If you need to do fewer hours than our trips are scheduled for, please contact us. Private Groups: Our Kaktovik polar bear boat tour is available for private groups. We charge a full boat rate based on 6 people. You can have up to 6 people in your group. Please contact us for more information. 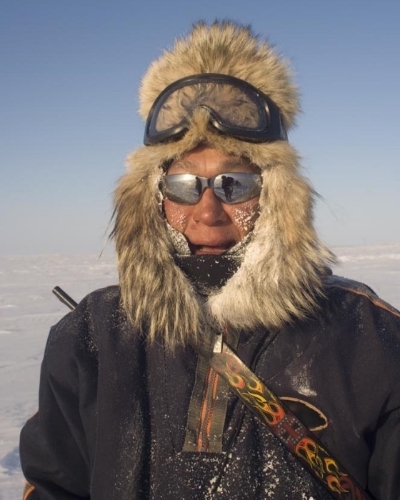 Jack Kayotuk, who grew up traveling and living on and along the arctic land and sea. These guys were professional. They treated me right and showed best practices with the bears to prevent them from altering their behavior. Great job guys! Our 21’ Weldcraft with a new Yamaha 4-Stroke 150 hp engine that is a very sturdy and steady platform for viewing and photographing the bears at eye-level.